The only thing better than a cookie, is a cookie in pie form! 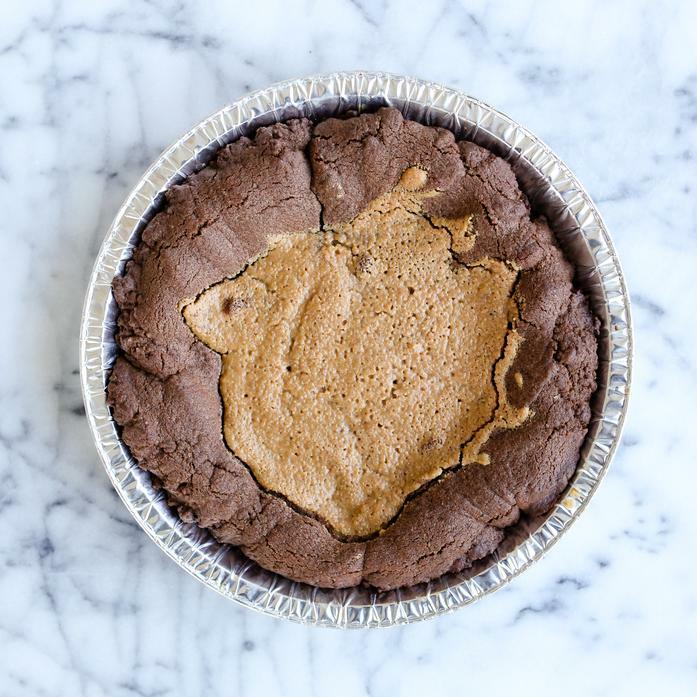 Chocolate and peanut butter lovers will go nuts for a big slice of this deep chocolate pie topped with a layer of rich peanut butter. Ingredients: Organic flour, organic brown sugar, organic butter, organic cane sugar, non-GMO all-natural peanut butter, cocoa powder, organic eggs, kosher salt, pure vanilla extract (water, alcohol (35%), sugar, vanilla bean extractives) ), baking powder, baking soda.